A little while ago, I became very interested by this mobile game called Monument Valley. Listening to the Peter Pashley’s talk at the latest Nordic Game I was immediately fascinated by the environment and obviously the tech behind the game. However, I’m not here to talk about tech today. I’m here to speak a bit about game-making philosophy. It is very interesting that games are indeed, made for gamers.My background in the Creative Commons license  and Free Art license  world makes me a very bad business man, and I’ll assume as much and wear it like a badge of honour. What I mean by that is that I’ve never made anything “artsy”, in order for it to be sold, marketable or even gather the interest of other people - as if people was a thing to be considered while making art. I am concerned with the quality, the message, the purpose ; not the bottom-line. This makes me a very very poor model to follow indeed, mostly financially speaking. I have moral issues and crises of faith, I don’t have "how-to-please-people" issues. Not that I am one of these "my-art-is-mine-and-to-understand-it-you-should-know-every-intimate-detail-about-me" type though; I like art which resonates, makes you think - not about me, but about you, your place in this world, and society - and I want to make things that are both universal and personal. I’m saying this here because to me, it’s obvious that making games for gamers is exclusive . We have a bias. Full disclosure: I’m not a gamer. Isn’t that weird? I mean, I’ve played a little Mortal Kombat, Final Fantasy 7 - 8 - 9, American McGee’s Alice, Assassin’s Creed and Need for speed over the years, but that’s about that. I like approaching a new medium fresh and questioning the wheel (sometimes reinventing it). Not being a gamer, I’d simply like to make a game I’d like to play. Ken Wong is right on this point: current casual games are insulting to gamers. I don’t hide my disgust at the concept of making some piece of software principally designed to make you - the coder - money, and nothing else. And achieving that by exploiting people’s weakness or fondness for entertainment is just south of a snuff film with moral integrity cast as the lead role. Games can and should always be more than entertainment; they are engaging, powerful piece of communication and education. They should be filled with moral values and dilemmas, they should make you wonder about what it means to be a human being and wander at the magnificence of life. Instead, they make you forget that you are alive for a time and this feels then normal to you. Casual games are the worst, because they make you forget life and reward you with subconscious feelings of achievements, all the while making money for the coder who usually did a piss-poor job. How then, not to be insulted by this? I don’t know one little girl who would wake up one morning and decide to grow up to become someone who rips people off for a living by making them forget about the most precious gifts they ever had: life and consciousness. When did we become this cynical? Worst of all for me is that, voluntarily or not, these are the values we import on future generations. Should we really make anything in our power to make money? Isn’t there anything more important we’ve been forgetting as a collective? Importing values as become the bread and butter of marketing people. Schools have retreated from it, religion has lost its grip on society and now, values that were once considered evil deeds, capital sins and absolute taboos are considered day-to-day transactions and even as skills. As game makers, we are a cog in the machine. We can choose to embrace the ambient cynicism and care less about destroying humanity than debugging our games, or we can keep in mind that we are part of the world, human beings, and work towards a better world. 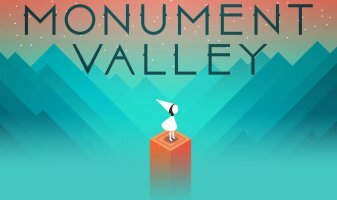 Ken Wong speaks about the visuals of Monument Valley, and truthfully, they are what sucked me into the game. Most of us are not artists as such, and we just don’t have the culture to make a game grounded in anything but game history. This is a shame really, because art history is so rich, diverse and intense that we shouldn’t be afraid to get inspired. Monument Valley is clearly a variation on M.C. Escher’s work, but it’s also much, much more. And art is always derivative. I, personally, am partial to music in games; maybe because my entry point in arts was music - I’m a classically trained singer. I remember the beautiful soundtrack of the Little Big Adventure series by Philippe Vachey like it was yesterday; I learned to play the village theme on my recorder flute, and I was hooked. My point is art inspires people, put some effort into it. You may not be the best designer in the world - God knows I’m not - but if you’re making your own game, you are a hacker. You know how to learn, how to turn weaknesses into strengths. Don’t be afraid of being derivative, don’t be a pixel-monkey. It is more work, but it is also very remarkable how good design endures and games that look like the others tend to fade away. as in, it exclude non-gamers, not as in "it cool I’ll be a V.I.P. then"